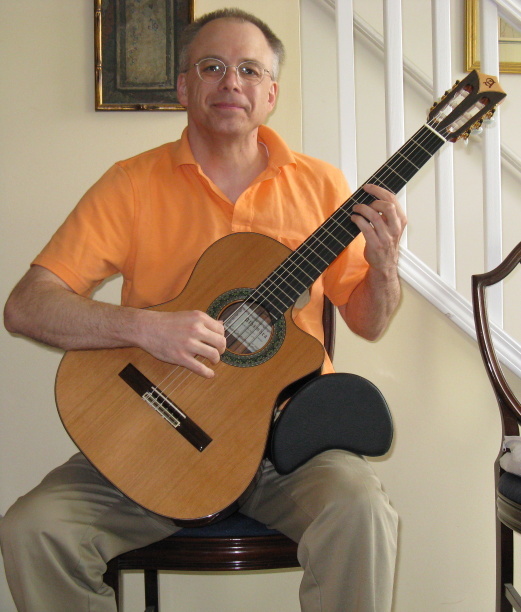 How do you prevent injuries from bad posture while playing classical guitar? I'm tagging this as specific to classical guitar since that's what I am familiar with. The correct posture is very important which playing classical, including the footstool, the position of your hands, shoulders, wrist, back and neck. Prolonged bad posture can lead to injuries. How can one always be conscious of these things and maintain correct posture? Additionally, what are some good exercises to prevent injuries (along the lines of RSI prevention exercises for computer users) ? I had to stop using a footstool altogether and instead put both feet flat on the floor and use a cushion to elevate the guitar into the correct playing angle. This enabled me to keep my spine straight and my hips in the right alignment. The other device you can use is a support bracket that attaches to the underside of your guitar. I'm convinced that using a footstool actually fights against good posture by encouraging your pelvis and spine to assume stressful positions which can cause all kinds of fatigue. I don't think there's a 'correct' posture, it's different for everyone. Sure there are conventions people follow, guitar on left leg, footstool, etc, but the best one for you is the one that allows you to play what you need to play without any pain. I'm a tall guy and I went through dozens of different setups before I found something I liked. Taking breaks after 45 minutes is a good piece of advice, while subjective, I'd also state that you shouldn't practice more than 4 hours a day. If it takes longer than that to do your exercises and work on your pieces, you need to adjust your strategy. One of the biggest things you can do with your posture is to always make sure you're aware of what you're doing with you body when you're playing. When playing, occasionally stop and ask yourself if you're tensing any muscles in your hands, body, jaw. Playing in front of a full body mirror or video recording yourself can help. Pick a hard chair, sit towards the front of the chair and have a foot rest for your right leg. Don't cross your legs while playing, don't sit back in the chair as if you're going to enjoy a cocktail - you can adopt that posture after a solid 10 years of practice. As always, when it comes to the back, it also helps if you actually exercise: sit-ups help, don't laugh!! Take breaks every 45 minutes and remember that when you are practicing scales some of the physical stress might work it's way from your finger-tips, down your wrists, through your forearms, and eventually end up in your lower back: Breath, Relax and Break up repetitive exercises with fun pieces!! I know this isn't the "typical" classical guitar posture (and in fact, classical guitarists are going to flame you), but I find it relaxing. However, keep in mind it is also harder to play guitar with this posture. The answer is that you must change your perception of what part of your body is actually "playing" the guitar. Let me use an analogy of a tennis player: the tennis player can stand flat-footed and "muscle" the volley using just a swat of her wrist and forearm, but every tennis pro will tell her that she must use her whole body to strike the ball, the racquet stroke comes from the core, not the hand. So it also is with classical guitar posture, though of course it is a much more subtle effect. If you feel your string pluck to be coming from your finger, that means you are "fighting" the motion with your forearm. In your perception, "move" the effort of plucking to your forearm. Then, when you perceive the effort of plucking to be in your forearm, "move" the effort up into your shoulder/upper arm...then to your back...then to your core. Same with the left hand. If you mentally "place" the sensation of effecting a fretting or plucking movement in your breathing core, instead of in your fingers, then you naturally tend to optimize your body position. Also, to an extent, the action does actually begin to come from your core, and that's very advantageous, because your fingers have small muscles that tire easily, your core has large muscles that are not stressed by the action of playing. To recap: To raise your awareness of posture, "place" your perception of the origin of your guitar playing motion deep within your body, in the large muscles. Not the answer you're looking for? Browse other questions tagged guitar practice classical-guitar health or ask your own question. My foot gets tired quickly when I tap it for rhythm - what to do? 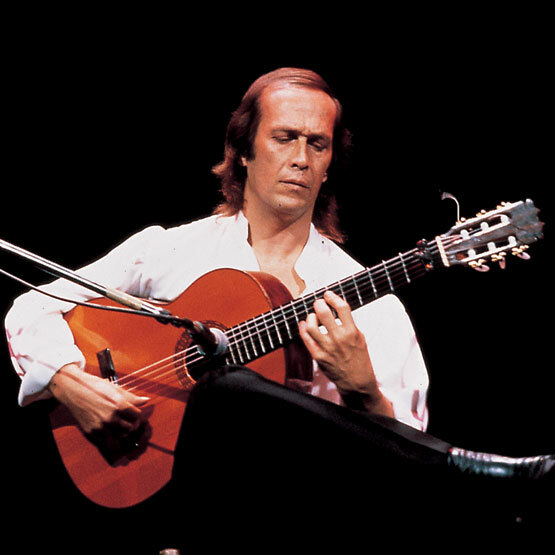 What are the advantages and disadvantages of various methods of supporting the classical guitar? How can I play this passage on classical guitar? Does hand perspiration prevent you from becoming a good guitarist? How can I stop my left arm from fatiguing while playing guitar in the classical position? What to do when we have back pain from playing guitar after a while? Is this posture correct for classical guitar? How common are mistakes while playing guitar? How do nails affect playing technique in classical guitar?